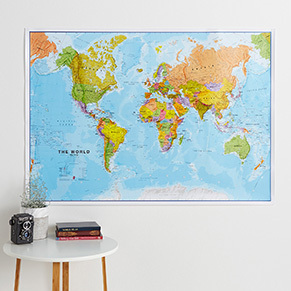 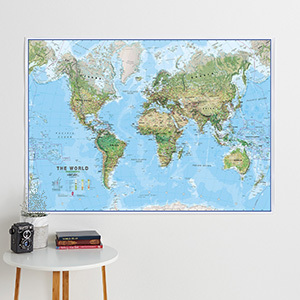 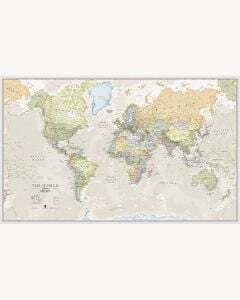 We have a wide range of quality wall maps of the world—including world political maps and world physical maps—available for purchase online at our world wall map store. 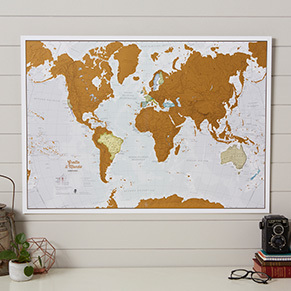 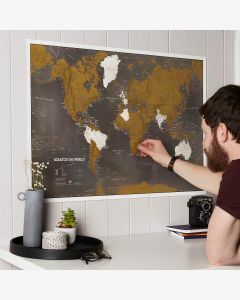 All wall maps of the world are available in a range of finishes. 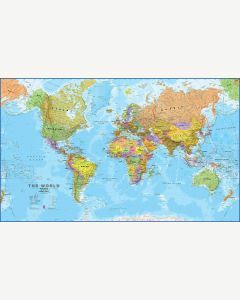 Choose a world wall map that is laminated, fitted with hanging bars, framed (including magnetic world wall maps) or mounted on foam board. 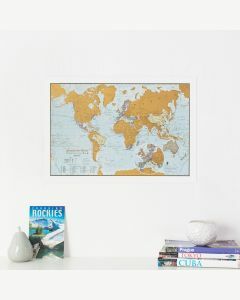 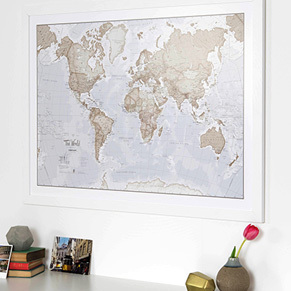 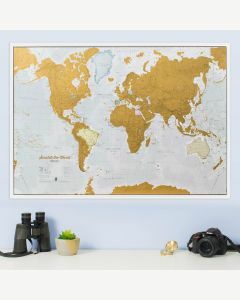 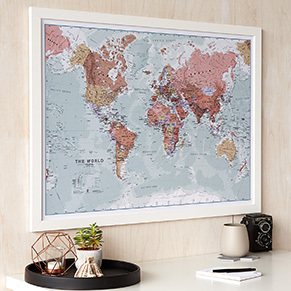 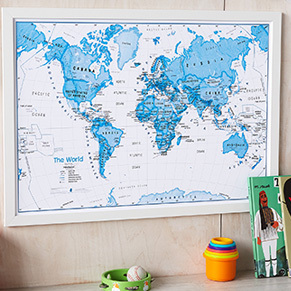 We also have world maps for artistic or stylish homes, as well as a number of world maps for kids.